If Milan’s passion, style and sophistication could be encapsulated in a drink, that drink would be Campari. The recipe for the world famous, completely unique, red Italian aperitivo has remained unchanged since it was created in 1860. 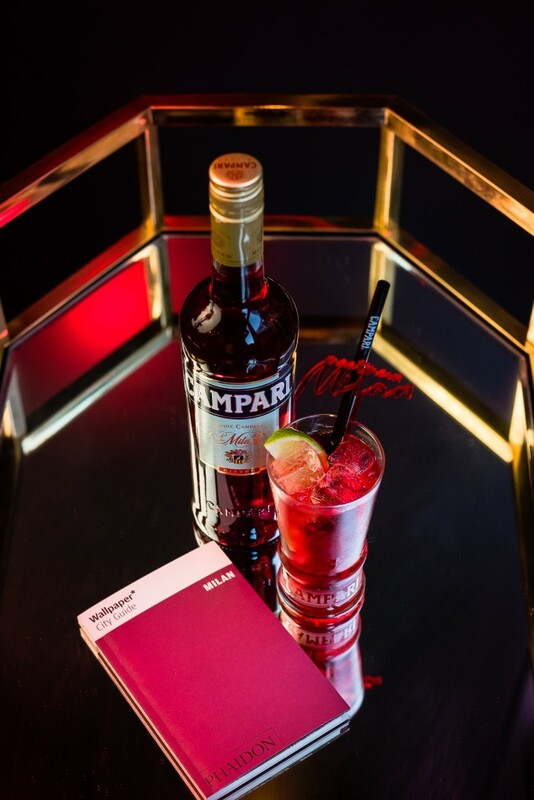 Derived from alluring secret infusions from aromatic plants and fruit, it’s vibrant colour, intense aroma and inspiring flavour has always delivered an intriguing drinking experience and, as such, Campari is as popular and accessible today as it was more than 150 years ago. While Milan is not the birthplace of aperitivo, it is certainly where the tradition is strongest. 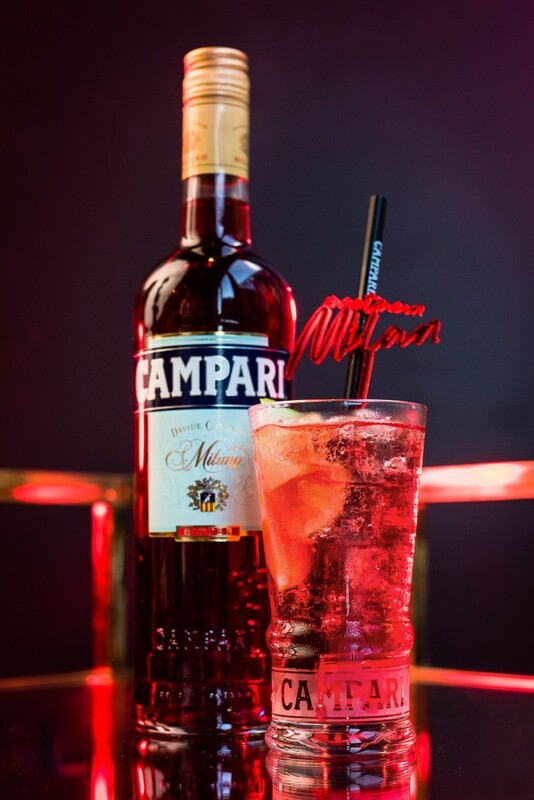 From now until August 13, 2017, Campari will be bringing a touch of iconic Milanese style, sophistication and flair to Melbourne CBD collaborating with venues, bars and retailers to deliver an immersive brand experience like no other. In venues and bars across the Melbourne CBD, the Campari Tonic will be the drink of choice. For those who only associate Campari with being ‘bitter’, the Campari Tonic signature serve will truly encourage you to reconsider this surprisingly delicious combination when bitter meets bitter. The bitter notes of the tonic together with the bitter-sweet orange and herbal flavor profile of Campari create a unique taste sensation. Perfectly finished with freshly squeezed limes, simplicity is key for this captivating drink. Whether you’re trying Campari for the first time or are a Negroni aficionado, the Campari Tonic makes for a perfect aperitivo drinking experience. 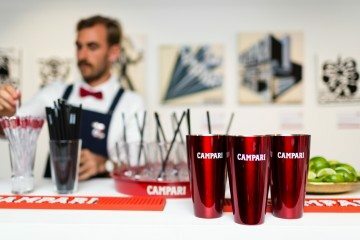 Join Campari for aperitivo hour at flagship venues QT Melbourne and 18o6 where the iconic institutions will be transformed into lush, red Campari Tonic lounges. At QT Melbourne, expect to be greeted with a taste of Milan as you arrive at The Rooftop Bar, where a red Vespa and illuminated neon sign that reads Meet Me In Milan will take pride of place on the bar. Inside, lounges will be turned red and walls and outdoor furniture will be illuminated red while a gilded-gold bar cart will serve up Campari Tonic samples. Over on Exhibition Street in the CBD, Melbourne institution and cocktail bar 18o6 will be turned red in celebration of the Campari Tonic for the month of July. A bar experience like no other in the city, discover Campari lounges around every corner of this three-storey establishment. The walls will be illuminated red and embellished with iconic Campari artworks while plush, luxe red velvet seating and designer lighting will complete the Campari experience. Campari will also infuse a taste of Milan in venues across the city centre including Father’s Office, Bank on Collins, Dutchess and authentic Italian eatery and bar, Pomodoro Sardo. Stepping away from the bar, Campari is partnering with a series of iconic and premium retailers who share the values of classic style and sophistication on and around the streets of Melbourne, hosting a gilded-gold bar cart in-store serving up the perfect Campari Tonic with compliments of the brand.